There's a bar in my neighbourhood that has a huge sign up that says "No Frosty Glasses" on it, presumably because people would ask for beer in one. While the idea of banning frozen glasses might seem like a stunt by a hipster bar, there's actually a lot of good reasons to not drink your beer out of a frozen glass. Let me preface this by saying that if frozen glasses are your thing, have at it. There's definitely something to be said for going outside with a cold glass of beer on a warm day (your beer stays colder longer). But, if you're in a temperature-controlled bar where you're not at risk of ending up with a sun-cooked beer, that frozen glass is doing you more harm than good. The biggest reason to ditch frozen glasses, in my opinion, is that cold temperatures kill the flavours in beers. While that's likely a good idea if you're drinking an inexpensive lager that might not have the most ideal flavour, doing it with a fuller-flavoured beer is just destroying the flavour of it. 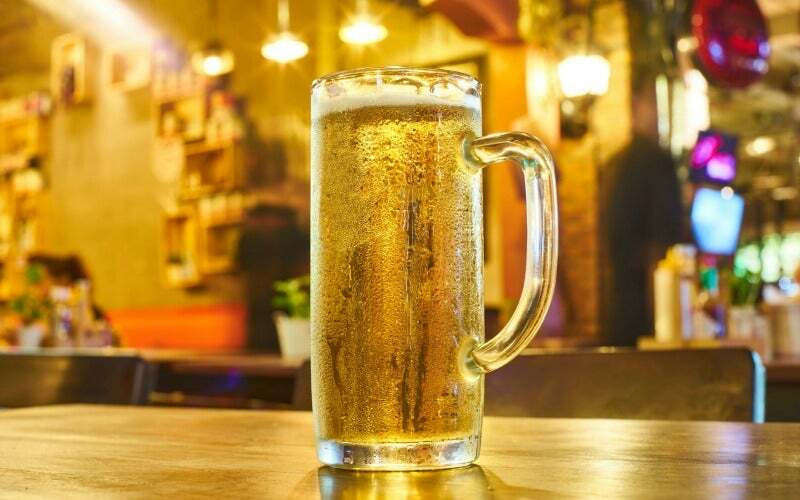 The ideal serving temperature for most beers is between 4-10°C. When you go colder than that you start to change the flavour. Don't believe me? Try a side-by-side of a beer in a frozen glass and one in a room temperature one. You're going to get a lot more out of that slightly chilled beer than you are out of the ice cold one. Presumably, you spent $10 on that nicer beer because you wanted to taste it. Don't ruin it by putting it in a crazy cold glass and killing the nuanced flavours of it. Since your glass was presumably cleaned right before it was put in the freezer, there's a good chance some of that "frost" on the side of your glass is actually sanitiser used to clean it. That's not something you want to drink. Also, that glass has the opportunity to pick up tons of crazy flavours you don't want in your beer. Take a hard look at that bar freezer. Would you eat a sandwich that was just sitting on a rack in it? Probably not. That same funk is also now frozen to your beer glass. Essences of the bartender's lunch that was put in there to stay cold, flavours from the cleaners used to wipe down the freezer at night. The same could be said for your home freezer. Think about what food tastes like that's been in there too long? Why would you unnecessarily do that to your beer? Carbonation bubbles stick to the frost on the side of your glass. That means your beer is going to be a lot foamier than it should be. No one wants a beer with a massive head on it, but when you put it in a frozen mug you're pretty much setting yourself up for failure. Again, if you love frozen glasses don't let me stop you. But give both versions a try. You might be surprised at how much better a non-frosty glass can be.